It's been just over one year since I began the publication journey, and I'm pleased to share—six books later—I am releasing the entire Follow your Bliss series, in one complete collection. 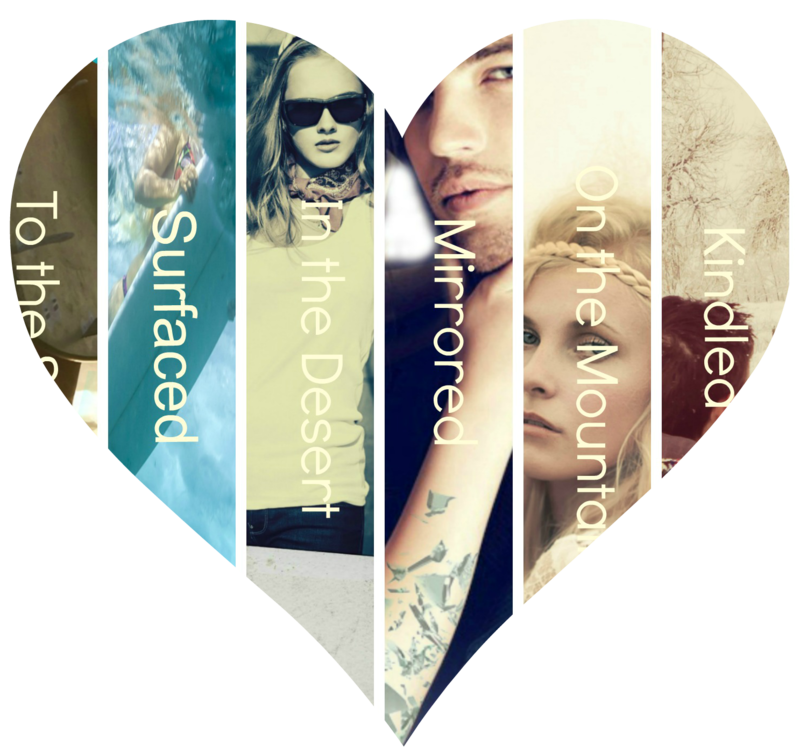 To the Sea, Surfaced, In the Desert, Mirrored, On the Mountain, and Kindled have all been revised for reissue in the Follow your Bliss Box set, available Tuesday, March 17. As a special bonus for all your Follow your Bliss readers, I've added a novelette to cap off the series. It takes readers into the lives of Kira & Ian, Brighton & Alex, and Baskia & Trace BEFORE their lives were forever changed by taking hold of possibility and saying, "Okay, let's do this." Then, join each of the characters as they gear up for a memorable event, AFTER they overcame obstacles to find freedom and love in their lives. It's a prequel-sequel thingy, totally bliss-filled, and it's FREE! Get your copy and get a jump start on delving into the messy, chaotic, adventurous, turbulent, romantic, dramatic, world of bliss! 1. Pre-order/buy the Follow your Bliss Boxset, a HUGE savings for all six books in the series. It contains: 3 full length novels + 3 companion novellas = hours and hours of reading bliss! 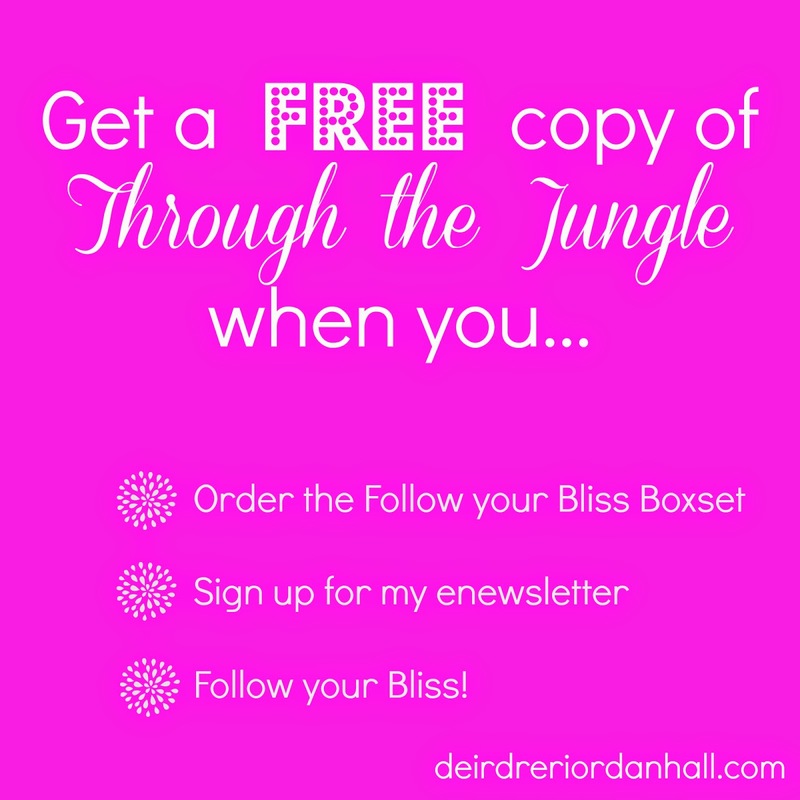 Then, please send me an email, a tweet, or leave a comment on my blog letting me know, and I'll send your copy of Through the Jungle. 2. 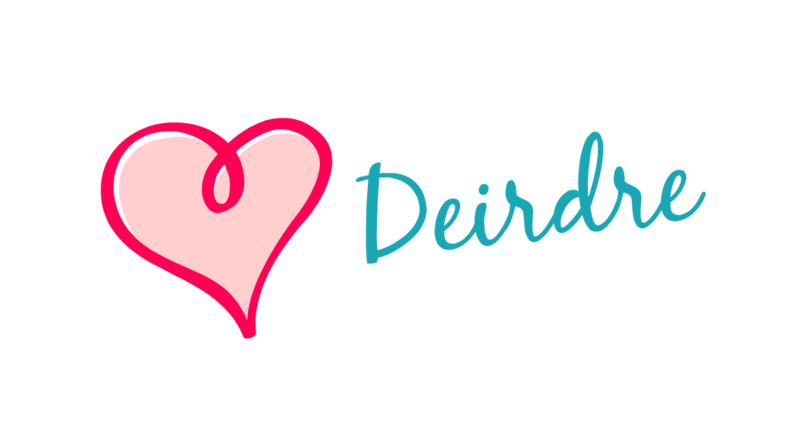 Sign up for my eNewsletter and be the first to know about news, updates, and all the juicy upcoming release info! You'll see the directions on the signup. 3. Follow your bliss. That's right, whether you want to become a writer, an artist, a musician, a bagpiper, a food blogger, a sea shell collector, start following your dreams today. Jot down story ideas, sketch an outline, pick up your guitar or pipes, whip up something drool-worthy in the kitchen; in other words, take those first step toward doing what your soul calls you toward and makes you smile from the inside out. Oh and if you opt for this one, let me know what you're doing down there in the comments. Thank you readers for helping me on the path toward my bliss: authorhood! I genuinely appreciate every word you read and as a away of saying thanks, I hope you enjoy Through the Jungle!